For her recent birthday, my daughter requested that we give her some helium party balloons that can fly. 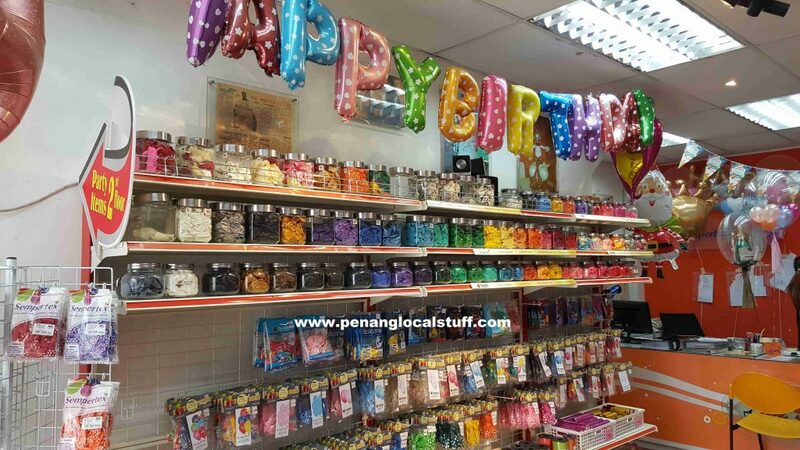 I remembered seeing a shop in Jalan Patani, Georgetown selling party balloons, so my wife and I went down there to see if we can buy some. The shop’s name is One Image Balloon Deco. It is located in Jalan Patani (Address: 27, Jalan Patani, 10150 Georgetown, Penang. Tel: 04-2103452), near the Jalan Patani Police Station. 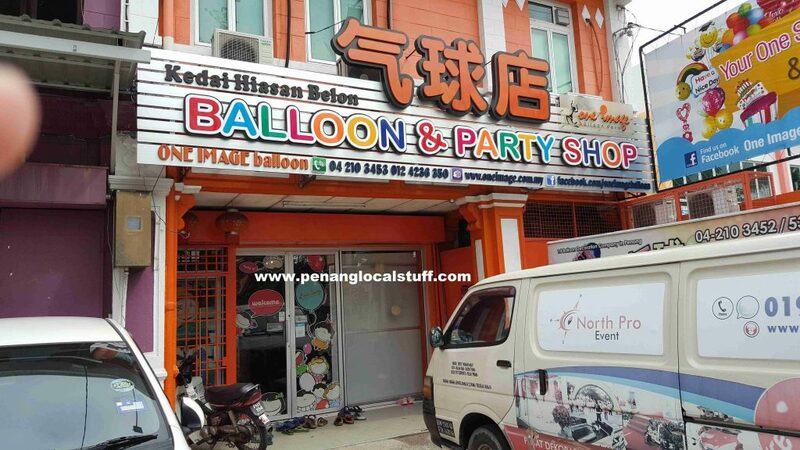 It has a colourful sign with the wording “BALLOON & PARTY SHOP”, so it is very easy to find the shop. 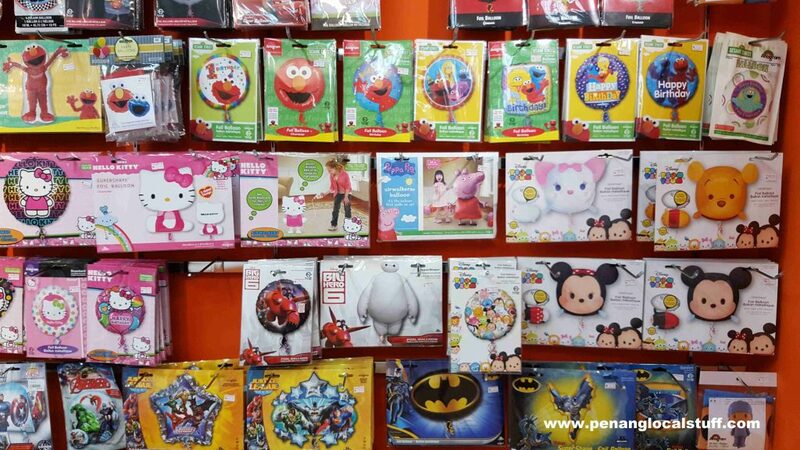 One Image Balloon Deco sells many types of balloons, mostly with cartoon characters. 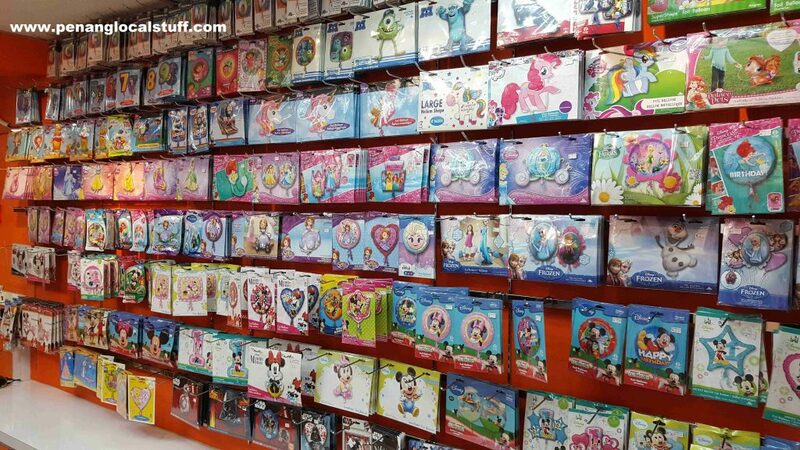 There are balloons with Mickey Mouse, Frozen’s Elsa, Princess Sofia, Cinderella, Elmo, Peppa Pig, Hello Kitty, Batman, and many others. There are also plain-coloured balloons. The shop can fill the balloons with helium gas. Apart from selling balloons, One Image Balloon Deco also provides decoration services for events – parties, annual dinners, graduation events, etc. We ended up buying a few helium party balloons with cartoon characters from the shop. My daughter was very happy to have the helium balloons for her birthday party this year.